Great idea. I make garden tool belts from vintage fabrics�quilt them to strudy canvas so my sharp tools don�t poke though the pockects. Then I used reclaimed waist bands from old jeans complete with belt loops and long self-belting ties to keep the apron from sliding down when the pockets are full.... Make It Do created a Garden Apron with lots of pockets perfect for plodding around in the garden. A great gift for anyone who spends time preening and pruning plants. [...] A great gift for anyone who spends time preening and pruning plants. Great idea. I make garden tool belts from vintage fabrics�quilt them to strudy canvas so my sharp tools don�t poke though the pockects. Then I used reclaimed waist bands from old jeans complete with belt loops and long self-belting ties to keep the apron from sliding down when the pockets are full.... An art smock is easy to make and this simple tunic shaped pattern will grow with your child for several years. It is quick and inexpensive to make and several would be a wonderful classroom gift for any teacher of young children. 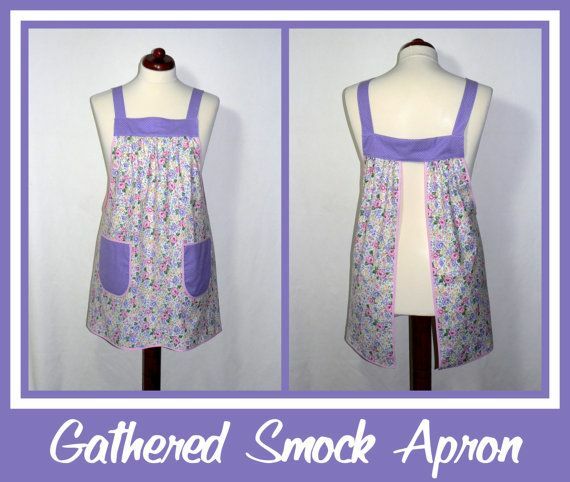 As another growing season aproaches I had to make a few more harvest aprons for my daughter�s. Having one just wasn't enough! Having one just wasn't enough! Red Apron-Vintage fabric and an old 1950s table cloth that was my grandmother's.... Make It Do created a Garden Apron with lots of pockets perfect for plodding around in the garden. A great gift for anyone who spends time preening and pruning plants. [...] A great gift for anyone who spends time preening and pruning plants. 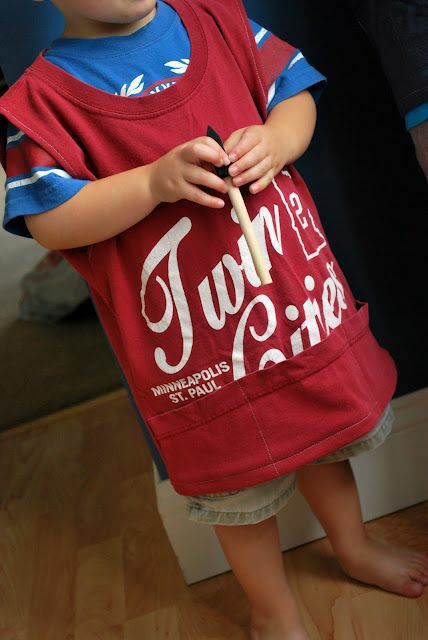 Still Dottie has a pattern and tutorial for making this easy and super stylin' smock apron. Link. 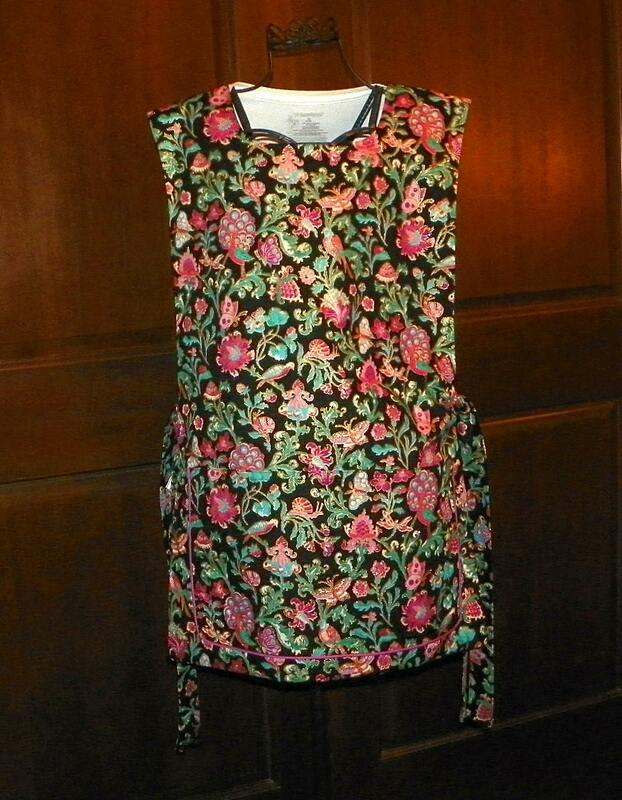 Make It Do created a Garden Apron with lots of pockets perfect for plodding around in the garden. A great gift for anyone who spends time preening and pruning plants. [...] A great gift for anyone who spends time preening and pruning plants. Make a soft, comfortable and... Art class doesn't mean having to fork out a lot of money for a child's smock. Nor does it mean having to rely on a cheap and nasty plastic one.